New to the world and just arrived in our green and soggy land is Cambridge Audio’s 4K UHD universal Blu-ray player, the CXUHD. To achieve this, they’ve done something that might seem odd to some: they’ve eliminated the DAC. Why on earth do that, you may ask? The CXUHD proudly plays video in resolutions up to 3840 x 2160, delivering four times as many pixels as regular HD Blu-ray. Other 4K media files are also supported for playback, utilising HEVCH.265, H.264, VP9 4K and Hi10P video decoding for increased compatibility with user generated content. HDR is of course also supported when matched with an HDR TV, expanding the range of contrast and brightness for advanced and expanded colours. There’s also a conversion provided for older SDR displays. The CXUHD is capable of playing a range of video, music and image files from USB sticks and hard drives, including H.265, H.264, VP9 4K, Hi10P, FLAC, WAV and AAC. You can also use the Built-in 802.11ac Wi-Fi or Gigabit Ethernet to connect the unit to your home network, giving you easy access to media files stored on computers, laptops, NAS Drives and home servers. Its universal compatibility also allows multiple disc formats to be played back including Blu-ray, 3D Blu-ray, DVD Video, DVD Audio, SACD, and audio CD. 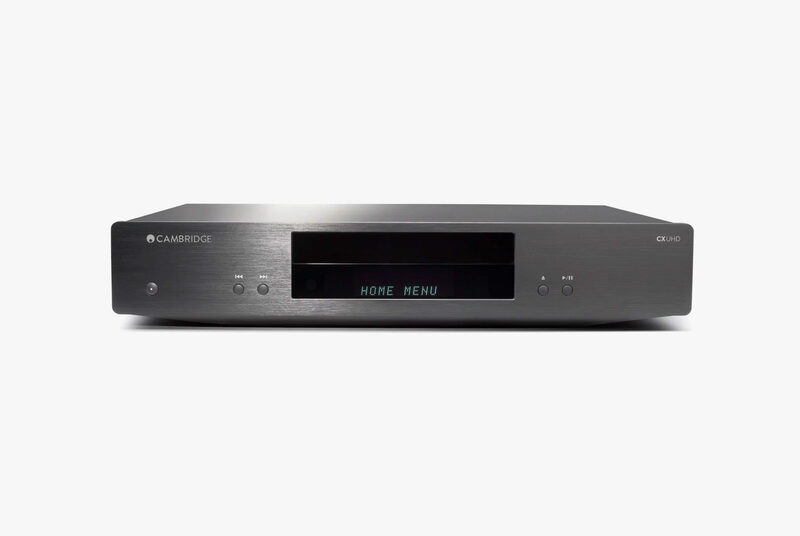 Cambridge Audio is claiming a high quality build with reference quality playback in line with the company’s years of experience in the field. Inputs and outputs? Well, there are two HDMI outputs: a HDMI 2.0 port for connecting the latest 4K UHD TVs, projectors and AV receivers, and a HDMI 1.4 audio port for connecting older AV receivers. There’s also an HDMI 2.0 input supporting UHD resolution to allow users to connect external streaming devices like Chromecast and Apple TV. 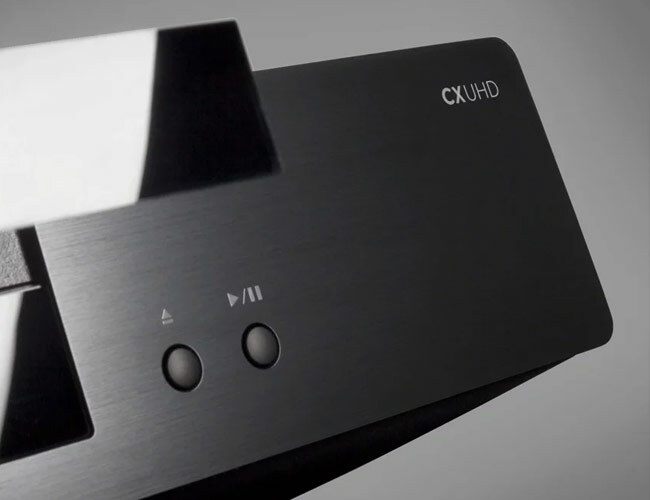 * The Cambridge Audio CXUHD Universal Player is handled by PQ Imports and available for $1599 from good hi-fi shops.